Auckland’s two ports (Onehunga on the Manukau Harbour which opens to the Tasman Sea, and Auckland on the Waitemata Harbour which leads through the Hauraki Gulf to the Pacific Ocean) are administered by Ports of Auckland Ltd. The port of Auckland is New Zealand’s largest port; according to the Ports of Auckland website 70% of the cargo volume passing through the port is in containers, and 60% of New Zealand’s imports by value and 40% of New Zealand’s exports by value pass through the port. 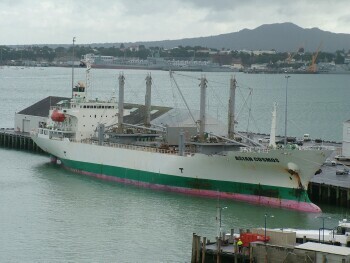 Onehunga primarily serves NZ coastal traffic and fishing vessels. 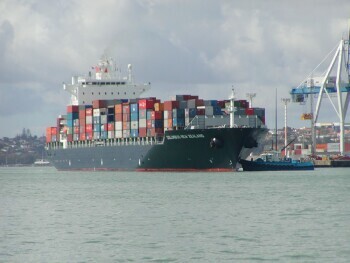 Whilst the Centre is ready to minister to seafarers on the vessels which berth at Onehunga, due to distance the Centre mainly serves the port of Auckland (including ships which berth at the Chelsea Sugar Wharf).